Since my first post on visit Malaysia, I can see my stats ‘spiked-up’! Thanks to all visitors and readers. Let’s go to the next exciting place to visit in Malaysia, KEDAH. I’ll divide my post about Kedah into 3 or 4 parts, since Kedah consist of mainland (which have so many places of interest to visit) and also, it’s world renowned beautiful island, Langkawi. You can find more details facts and figure about Kedah, just Google it =). why? Becoz I think I have a lot to tell you on the interesting places that you can visit in Kedah! Known as ‘rice bowl of Malaysia’, Kedah-Perlis paddy fields supplied more than half of total home grown rice in Malaysia. You’ll see a green, refreshing scenery of paddy fields along your journey to Kedah. Bukit Kayu Hitam is a border district of Kedah with Thailand. Almost similar to Padang Besar Perlis, Bukit Kayu Hitam is a famous destination for local and foreign tourist for shopping activities since there are a duty-free complex, where you can find imported items with cheaper prices. To get there from Alor Setar (Capital city of Kedah), you can rent a taxi. Bukit Kayu Hitam is 45km (approximately) from Alor Setar. On your way back to Alor Setar from Bukit Kayu Hitam, don’t forget to relax your mind at Lye Huat Garden. Lye Huat Garden was founded by Dato Lim Lye Huat in 2002. It was originally called Lye Huat Stone Art Gallery when it was first built in 1994. Dato Lim built it for his personal enjoyment. However, through the suggestion of friends, he decided ton open it to the public. In addition to being a tourist attraction in northern Kedah, Lye Huat Garden was also a venue for several national competitions including the National Flower, Hornfish, Bonsai and Suiseki Competition launched by the then prime minister, Mahathir Mohamad, in 2002. In 2004, the International Bonsai and Suiseki Competition was held here, and officiated by the Sultan of Kedah. Not just and art gallery (stone art), but Lye Huat Gardens also famous with its mini zoo. From birds to mammals and reptiles, you’ll be exciting to know them (or even take photo with them). This is the tallest building in Alor Setar (in Northern region i think). The Alor Star Tower is the world’s 20th tallest telecomunication tower and also the 2nd tallest in Malaysia after Menara Kuala Lumpur. It stands at the height of 165.5 metre. From the observation deck, you’ll see the whole city of Alor Setar and neighbouring district. A 100 years-old mosque, located in the heart of Alor Setar city, not so far from Alor Setar Tower. The site of this mosque before it was built was the cemetery of the Kedah warriors who had died while defending Kedah from Siam (1821). The architecture of the mosque was inspired by the AZIZI Mosque in Langkat town, north Sumatera. This mosque is enhanced with five prime large domes symbolizing the five Islamic principles. It is just opposite the Masjid Zahir (Zahir Mosque). Balai Nobat belongs to the old Sultanate of Kedah. The Hall features the Nobat, the instruments of the royal orchestra. It comprises drums, gongs and a traditional flute. These instruments are played on special ceremonial occasions only. The musical skills of the Nobat are generally passed on from father to son. Another attraction located nearby Masjid Zahir and Balai Nobat is Balai Seni. Built in 1912, the building was first used as the High Court before becoming the headquarters of several state government departments. Its architecture has strong Roman influence, which is evident also in the Temple of Fortune Rivals. On July 25, 1983, Sultan Abdul Halim Mu’adzam Shah proclaimed it as the Balai Seni Negeri Kedah Darul Aman (Kedah Darul Aman State Art Gallery). Located just besides the Balai Nobat and opposite of Masjid Zahir.It is one of the heritage and charm of Kedah state, where its original structure was built in 1735 by Sultan Muhammad Jiwa Zainal Abidin Muazzam Syah(1710 – 1787), the founder of Alor Setar, who was also the19th ruler of the Kedah Sultanate, as the Balai Rong Seri, or Grand Audience Hall . The Balai Besar was destroyed and rebuilt twice during the period in the Bugis invasion in 1770, followed by Siamese invasion in 1821. It was during the reign of Sultan Abdul Hamid Halim Shah, the 26th Sultan that the grand hall was completely revamped to its present look in 1893. In 1896, the Balai Besar was refurbished by Kedah State Public Works Department under supervision of the Architect, Muhamad Bin Lebai Tambi from Penang, for the wedding ceremonies of the Sultan’s fivePrinces and Princesses, held in 1904. The Balai Besar was also the venue of the installation of a new sultan, namely Sultan Ahmad Tajuddin Halim Shah II (1804-1845) and Tuanku Sultan Haji Abdul Halim Mu’adzam Shah on 20 February 1959. 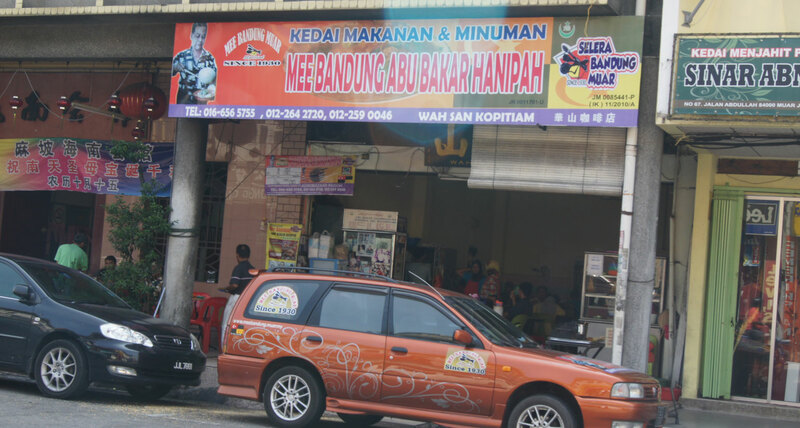 Just a few kilometres (1 km – 2km) from Masjid Zahir, there is a famous local products’ marketplace, named as Pekan Rabu.Pekan Rabu is now open not just on Wednesday, but every day. Its well known among the local population and tourists from outside Kedah. From is humble beginning weekly market operating from an attap roofed shack, it has since expanded into a multistory arcade selling a wide range of from traditional delicacies like dodol durian to mengkuang mats and apparel. 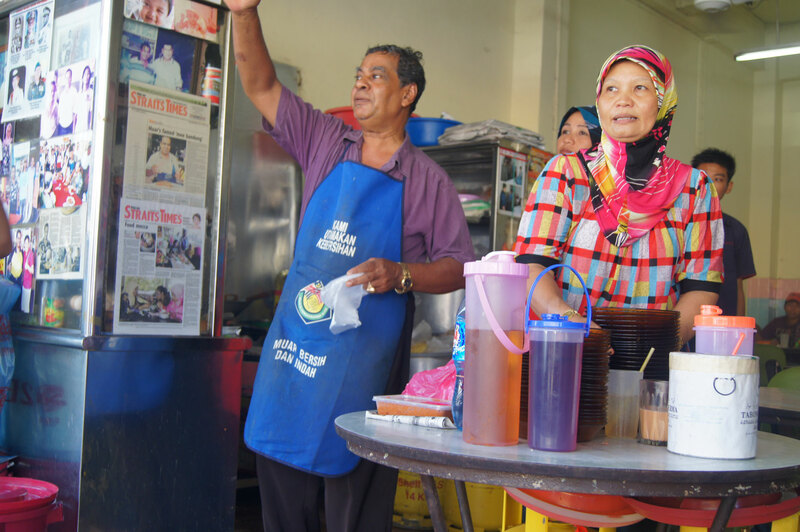 One of the famous places to get the Malay traditional foods in Kedah such as serunding, dodol and kuah rojak or garam belacan. The business complex is not only the pride of Malay entreprenuers in Kedah but also the pride of all Malay’s in Kedah. Don’t forget to try “DODOL” or glutinous, toffee-like sweet food delicacy. As a state museum, it houses a large collection of Kedah’s historical, culture, and royal heritages. The collection includes early Chinese porcelain, artefacts from the archaeological excavations in Lembah Bujang (Bujang Valley) and a fabulous pokok bunga emas or ‘gold tree’ produced as a tribute to the Thais. The museum is also a research centre on Kedah’s civilisation. Before the present premise was built in 1936, the museum – officially opened by the then Kedah Mentri Besar Tan Sri Tunku Ismail Tunku Yahya (Tunku indera Setia), on February 3, 1957 – was located in the Balai Besar (Grand Hall). One of my idol is Tun Dr. Mahathir Mohamad. He is a renowned leader in Malaysia and worldwide, also known as ‘Father of Malaysia’s Modernisation’. Tun Dr. Mahathir bin Mohamad (pronounced [maˈhadɪr bɪn moˈhamat]). (born 10 July 1925) is a Malaysian politician who was the fourth Prime Minister of Malaysia. He held the post for 22 years from 1981 to 2003, making him Malaysia’s longest serving Prime Minister. His political career spanned almost 40 years. During Mahathir’s tenure as Prime Minister, Malaysia experienced rapid modernisation and economic growth, and his government initiated a series of bold infrastructure projects. He was a dominant political figure, winning five consecutive general elections and seeing off all of his rivals for the leadership of UMNO. However, his accumulation of power came at the expense of the independence of the judiciary and the traditional powers and privileges of Malaysia’s royalty. He also deployed the controversial Internal Security Act to detain activists, non-mainstream religious figures, and political opponents including his sacked deputy, Anwar Ibrahim. Mahathir’s record of curbing civil liberties and his antagonism to western diplomatic interests and economic policy made his relationships with the likes of the US, Britain and Australia difficult. As Prime Minister, he was an advocate of third-world development and a prominent international activist for causes such as the anti-apartheid movement in South Africa and the interests of Bosnians in the 1990s Balkans conflict. Ok! That’s the first 10 places of interest that you can visit in Kedah. I’ll post more interesting places in Kedah in my next article! Sebut je Muar atau ‘Muor’ mesti ramai dah terbayan-bayang keenakan Mee Bandung dan sataynya! 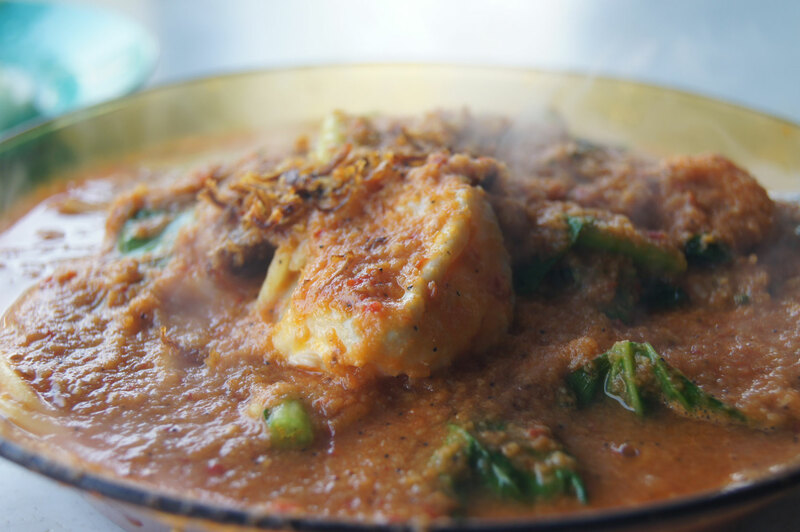 Saya pun tak terlepas mencari mee bandung dan satay Muar ketika berkunjung ke Muar atas urusan perniagaan di sana. Tanya sana, tanya sini. Last-last, paling banyak rekemen saya untuk cuba mee bandung Abu Bakar Hanipah. Ha! Jangan hairan. Kedai ni memang terletak dalam sebuah restoran Cina. Jangan risau, tiada makanan yang Non-Halal dalam restoran tu. Mereka hanya sediakan air. Dah duduk, saya pun order mee bandung. Then, diorang kata tak lengkap kalau tak order satay. so, saya pun order satay. Bila dah sampai…pergghhh..terliur! Kesimpulannya, Mee Bandung Abu Bakar Hanipah dan Satay di sini memang BEST!